Taiwan in the 21st Century: Aspects and Limitations of a Development Model is a compilation of twelve chapters by different authors that attempts to consider the extent to which the history of Taiwanese development in the twentieth century can be used to inform development in other places, in particular China and Southeast Asia. The introductory chapter, written by Greene and Ash, is an excellent summation of political and economic development in Taiwan’s modern history. The authors are careful to provide nuanced background in a judicious comparative framework, leading into a discussion of the subsequent chapters. They alert the reader to Taiwan’s unique circumstances of being under Japanese colonization, Chinese rule, and American aid. These political regimes, along with the Cold War and political liberalization contexts in the latter half of the twentieth century also help to explain the so-called Taiwan miracle. According to the Introduction, the book’s twelve chapters are divided into three parts: the first discusses the extent to which Taiwan’s development can serve as a model for other developing countries, the second examines high-tech development in Taiwan, and the third addresses Taiwan’s democratization in comparative frameworks. In “Economic life in mainland China and Taiwan and the rise of a productive market economy,” Ramon H. Myers compares the paths of development to a market economy taken by China and Taiwan. His analysis ultimately highlights the role of economic policies driven by political regimes. Economic life in the late Qing was characterized by a liturgical command economy, a Confucian kinship customary economy, and a reticular market economy. The failure of late Qing reforms, followed by ineffectual Republican economic policies and the ideological focus of the Chinese Communist party on collective organizations all prevented the development of a modern market economy. In contrast, five decades of Japanese rule and the eventual liberalization of the Kuomintang in Taiwan allowed Taiwan to develop a market economy as well as a democratic polity. The premise of “Taiwan’s success and vulnerability: Lessons for the 21st century” by Gustav Ranis is that the word “miracle” should not be used to characterize Taiwan’s success in the twentieth century, because its economic development could be explained in terms of the conditions in Taiwan and appropriate governmental responses. Early Japanese land reform, physical and institutional infrastructure, farmers’ associations, research institutes, and emphasis on primary education were all factors that contributed to impressive growth. These factors also helped Taiwan to avoid the East Asian financial crisis for the most part without resorting to IMF assistance. In “Taiwan’s development experience: Stability with growth, 1950–2002,” Erik Thorbecke and Henry Wan argue that Taiwan’s pragmatic strategies, seen from its economic development followed by democratization, can be transferred to other countries. The authors consider the KMT’s pragmatic policies in the realms of economic management, trade and investment incentives, competitive environment, and emphasis on human capital to be “clearly transferable.” On the whole, the authors affirm that the policy of “seeking growth with stability” adopted by the KMT was beneficial to Taiwan. Unlike Thorbecke and Wan, Anne Booth answers a resounding “no” to her question, “Can the ‘Taiwan Model’ of growth with equity be replicated in the Southeast Asian context?” She notes the differences in the colonial conditions experienced by Taiwan and Southeast Asian countries, asserting that Southeast Asian countries face the colonial legacy of massive disparities in income among different groups, which stunts the development of these countries. Other spatial and interracial inequalities also correlate with problems in growth. She believes that for Southeast Asian countries to replicate the “Taiwan Model,” it would be necessary for them to adopt policies such as land reform, increased access to education, and further rural development. In “Comparative productivity performance in manufacturing between Taiwan and mainland China, 1961–97,” Harry X. Wu and Xinpeng Xu focus on differences in productivity levels caused by institutional frameworks and resource allocation. They discover that in the manufacturing sector, Taiwan led a widening gap between the '60s and the late '80s, which narrowed in the '90s as China became increasingly integrated in the world economy. They also find, however, that as China caught up to Taiwan, its development was uneven across the manufacturing sector and the Chinese high-tech sector has continued to lag behind that of Taiwan. In “Taiwan’s knowledge-based economy: A historical perspective on higher education, manpower planning and economic development,” J. Megan Greene highlights the importance of early and sustained efforts at improving Taiwan’s human resources in scientific and technical fields in Taiwan’s emergence in the international knowledge-based economy. The Japanese colonial legacy, infusion of US aid, and relationships with Western experts led to development in the educational and industrial sectors, and Taiwanese state emphasis on human resource development has set the stage for its flourishing information technology sector. Taiwan’s success has led to Chinese emulation in terms of state-led policy, which means that there are aspects of Taiwan’s economic development that can be replicated through centralized planning. In “Re-engineering the developmental state in an age of globalization: Taiwan’s quest for high-tech industries,” Yun-Han Chu argues that Taiwan’s development in the 1980s and 1990s is “path-dependent” and specifically derived from its historical contexts. While the conditions are not replicable for other developing nations, Taiwan’s example does offer some lessons, such as alerting observers to how the state can relate to the phenomena associated with globalization to enhance the transformative capacities of businesses when faced with challenges. Chu’s conclusion underscores the uncertainties caused in Taiwan’s high-tech sector by the rise of China. Like some of the other authors, Steve Tsang argues in “Democratization in a Chinese community: Lessons from Taiwan” that Taiwan’s development is a result of its unique history and cannot be replicated. However, its democratization process does counter the myth that Confucianism and democracy are mutually exclusive and shows that an Asian (or Chinese) democracy is possible. He refers to Taiwan as an “inspiration” for its demonstration of the possibility of a largely orderly and peaceful transition from authoritarianism into democracy, even without the institution of rule of law, thought to be a paramount basis of democracy. In “Democratic transition and the rule of law in Taiwan: A development model for the developing world?” Bernard Y. Kao argues that Taiwan’s democratization is a unique result that grew out of its historical conditions, but that there are transferable elements. He outlines the roles of the government bodies as well as that of the Taiwanese elites and leaders in first institutionalizing the rule of law and then the political and economic liberalization of Taiwan. Kao believes that if statesmen of developing nations focus on the market economy, the political changes they permit in response to social forces represented by civic groups can lead to a highly productive nation. In “Constitutional developments in Taiwan and the democratization of the Republic of China: A model or a precedent for the People’s Republic of China?” Jean-Pierre Cabestan considers the unique aspects of Taiwan’s democratization, and argues that this process would be difficult to duplicate by China and other developing countries. However, he asserts that democratic institutions exist in the constitutions of both Taiwan and the PRC, and the difference was that Taiwan was able to make its transition to allowing those institutions to operate. If the PRC would like to transition to a democracy, it should first soften its authoritarianism and gradually allow free choice to prosper at the local levels. In “A Tocquevillian process: Taiwan’s democratization and its paradoxical foundations,” Françoise Mengin argues that Taiwanese democracy cannot be used as a model for the PRC due to Taiwan’s unique historical context. Mengin highlights the ability of elites in Taiwan, both mainlanders and Taiwanese, to maintain a consensus on democracy as a principle in spite of major conflicts such as the February 28 Incident in 1947 and the Free China affair of 1960. The KMT and its opposition (dangwai or the later DPP) always saw the need to legitimize themselves through elections, even if the standards for fair elections were not always maintained. Mengin also dismisses “culturalist” explanations of Taiwanese democracy or predictions for democracy in the PRC. In “Is the party over? Taiwan’s Kuomintang from power to opposition,” Thomas B. Gold considers the features of the KMT, the fluctuations of its political fortunes in Taiwan, and ends his discussion in 2006 while stating some doubt for the party’s future. However, Gold compares the situation in Taiwan to that of Eastern European nations, where “successor parties to the communists” were able to return to power through elections. Of course, we now know that in 2008 KMT returned to power with Ma Ying-jeou at the helm, and won reelection in 2012. Now, it remains to be seen how the circumstances of “post-miracle” Taiwan will affect future political and economic outcomes. On the whole, the question at the heart of this volume is how to understand Taiwan’s successes in such a way as to extract factors or policy orientations that would benefit other countries. The authors disagree on the applicability of the “Taiwan model” because while the contexts for Taiwanese development could not be re-created, there are some important lessons from which other developing countries might learn. Ultimately, the authors are uncertain about Taiwan in the 21st Century; while they generally agree that Taiwan has been successful as a developmental state, they seem unwilling to make predictions about its position in Asia and the world at large, especially in the shadow of a rising China. 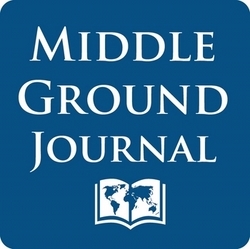 (c) 2014 The Middle Ground Journal, Number 9, Fall, 2014. http://TheMiddleGroundJournal.org See Submission Guidelines page for the journal's not-for-profit educational open-access policy.